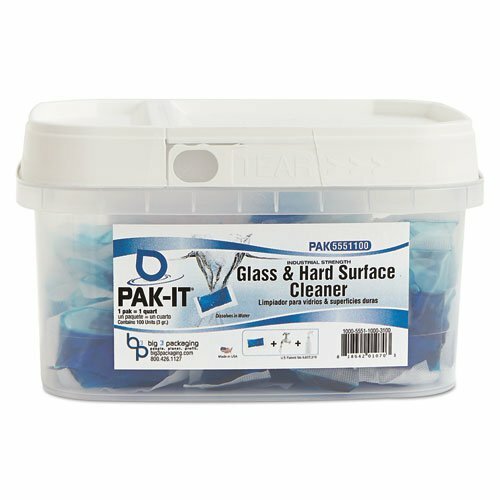 Simply drop one pre-measured blue glass cleaner PAK-IT® into its matching blue quart trigger spray bottle (sold separately) and add cold, tepid or warm water. Wait two minutes and shake. Adjust nozzle to mist setting. For a streak-free shine use one fine mist spray "less is more" and wipe off with a clean microfiber cloth or ideally a paper towel. Ammonia-free formula.